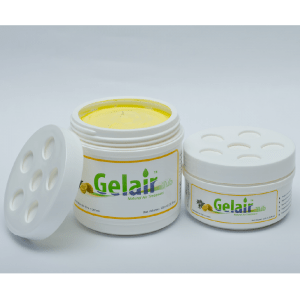 Gelair Tea Tree Oil (TTO) Gel Tub contains tea tree oil, an anti-microbial and anti-fungal agent, contained in a specially formulated agar matrix that allows for release, in fixed composition, of its active ingredient in vapor form to maximize treatment. 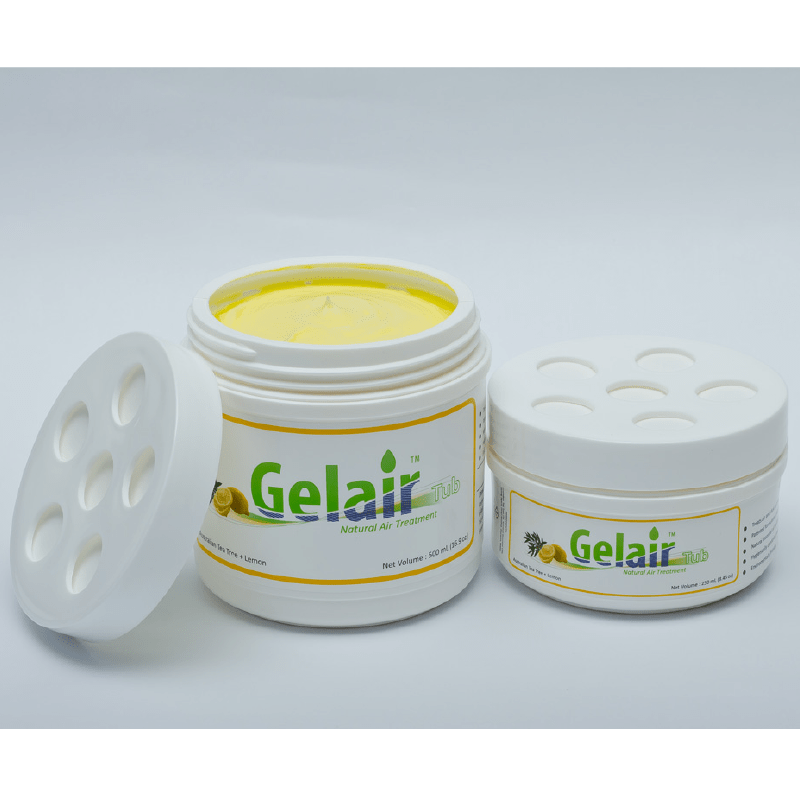 Similar to other products under Gelair, the TTO Gel Tub serves for better mitigation, prevention against harmful mold, bacteria and viruses and rids application areas of musty smells. Left to control localized air quality in its respective locations, the tub will serve its purpose for up to 3 months, subject to air movement conditions. 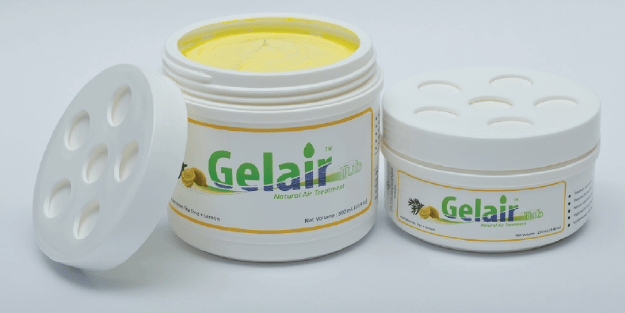 Gelair TTO Tubs are available in both 250ml and 500ml. At both sizes, the product is able to serve a diverse range of enclosed indoor compartments such as closets, shoe racks, cabinets, wardrobes and other areas of poor ventilation and high moisture content. Initially tried other products that take in moisture but they all tend to make my cabinet too dry. I bought the small one and wanted to see how it differs from the rest. What I like about this is that it prevents mold without making the area too dry which is a big deal for me because I don't want my things to crack up. Great product.